Welcome to CEST sources! 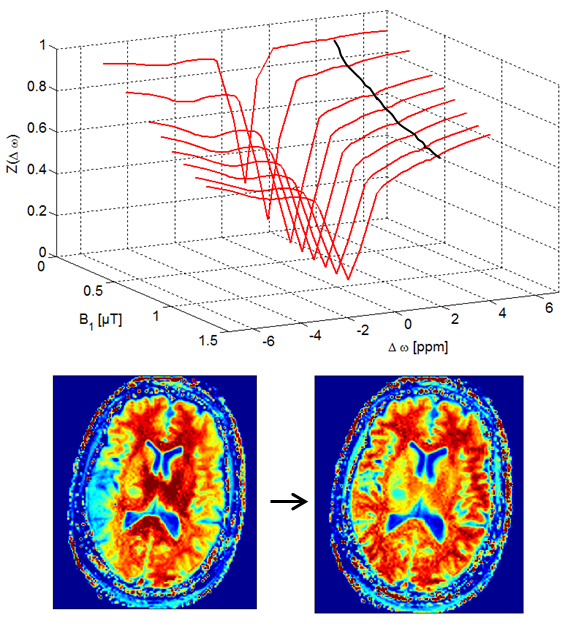 CEST stands for Chemical Exchange Saturation Transfer, a Magnetic Resonance Imaging (MRI) technique which promises insight into pathologies on a molecular level. If you want to know more about CEST, find details in the CEST intro or the reviews. CEST sources is a project to share code, link resources, and bundle knowledge about CEST. CEST sources is intended for helping researchers and students in the field of CEST and magnetization transfer. Most code is in Matlab but we try to upload other implementations, too. Find below the different sections of CEST sources. 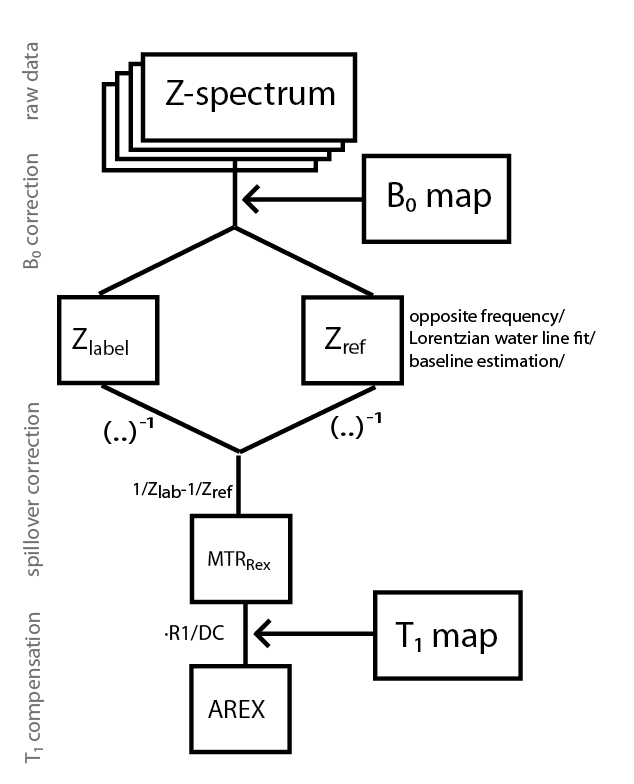 For now the focus is on Z-spectra evaluation methods, and Z-spectra simulation and fitting. Each subsection contains links to code and video tutorials. All code is kept simple to be easily adjustable for your scientific question. If you have a suggestion for a video tutorial feel free to contact us. Here you find Z-spectrum simulations in the case of a two and three pool systems under continous wave (cw) irradiation. For a two pool system also the solution for pulsed spinlock irradiation is given. 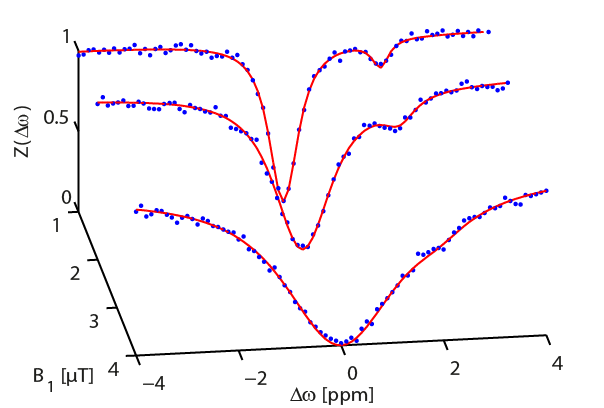 Here you find methods for CEST quantification. 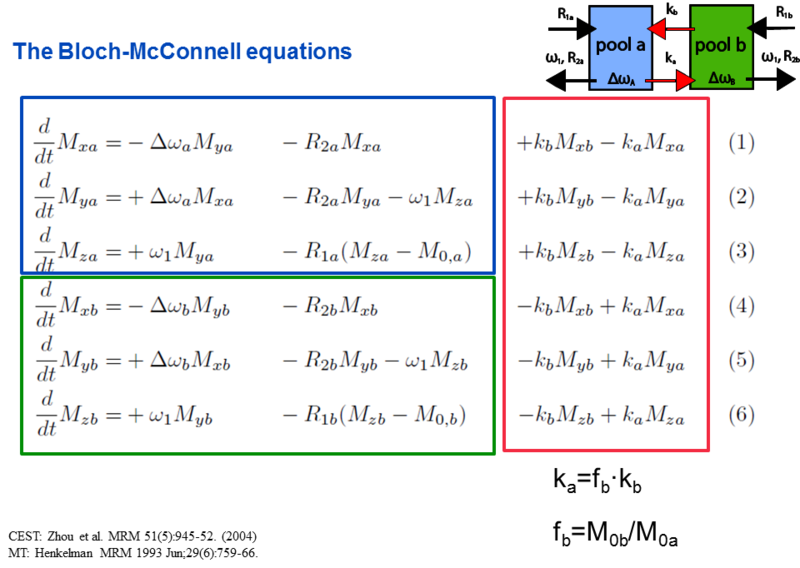 This means to achieve access to the CEST pool parameters as defined in the Bloch-McConnell equations such as exchange rate, concentration and transverse relaxation of the CEST site. Here you find some Mupad codes for getting more theoretical insight into the eigenspace solution that forms the analytical CEST solution. CEST sources was initiated 2014 at the German Cancer Research Center (DKFZ), Heidelberg Germany by the project group CEST imaging. It is now hosted at Max Planck Institute for Biological Cybernetics, Tübingen and part of the european GLINT project. If you want to publish or link to code here, too, feel free to contact us.